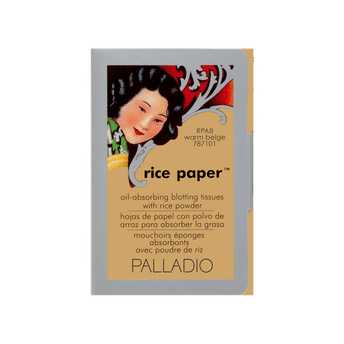 Palladio's Rice Paper Blotting Tissues reduce all-day shine and leave skin feeling smooth and soft while also helping your make up stay longer. These unique tissues are made from natural rice and provide the same, great oil-absorbing functions as Rice Powder, but in a more compact form. Packaged in a handy component, these tissues will fit inside even in the smallest purse or pocket, so you'll never have to leave home without them. Alternatively, you can also find many more products from the Palladio Rice Paper range.